Outgoing French President Francois Hollande on Wednesday said he accepted the resignation of the current government led by Prime Minister Bernard Cazeneuve, according to a statement from the Elysee Palace. "I took note of your resignation and that of your government in accordance with the republic's tradition and after the Constitutional Council announced the presidential election's official results," Xinhua quoted the presidency as saying. 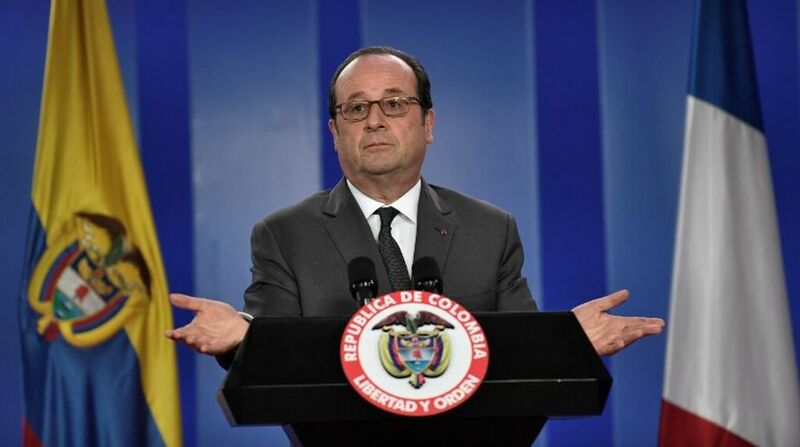 Hollande called on the Socialist Government to remain committed to its current day-to-day duties until the new cabinet is established. Cazeneuve's government resignation comes as the Constitutional Council confirmed the results of the second round of presidential elections held on May 7, making centrist candidate Emmanuel Macron France's youngest head of state in modern history. In Sunday's runoff, Macron, obtained 66.1 per cent of the vote and beat far-right leader Marine Le Pen. The independent former economy minister will swear in on May 14 as the new French president.